Villondi Theertham is a small well dug into ocean near Rameshwaram. Legend is that Lord Rama dug this well by aiming an arrow into the ocean, in order to quench Seetha's thirst. 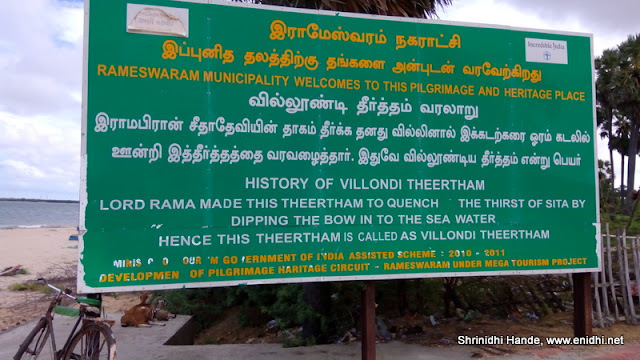 Villondi Theertham is about 1.5 km deviation from the main road leading to Rameshwaram. Use maps or look for signs by the highway. There is a platform extending about 100 meters into the ocean and at its end is a small well, believed to have freshwater. 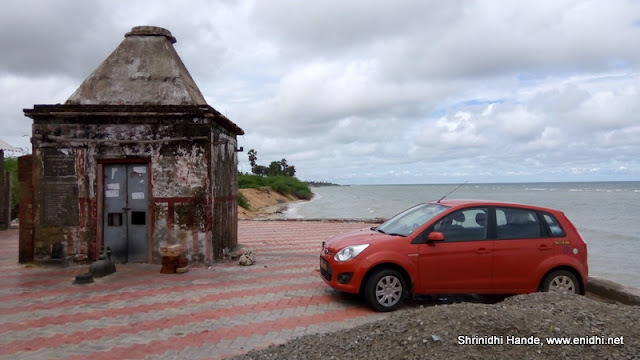 Location is very scenic and is certainly worth a brief stop on your way to Rameshwaram. A small temple in the vicinity was not operational. As of now there is no entry fee or parking fee or any other expense to visit Villondi Theertham. Amazing, Beautiful pics, Loved the panoramic view.